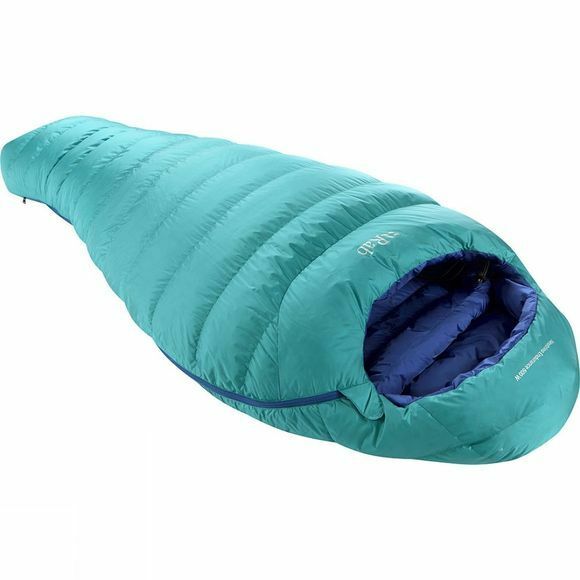 The Women's Neutrino Endurance 600 is designed primarily for alpine climbers, for use on bivi ledges, light-weight mountaineering trips or general winter conditions. It features 600g of high quality 800FP European Goose Down and is made in a ‘mummy taper’ style, offering minimum weight and pack size, without compromising on warmth. A combination of light-weight and water-resistant Pertex fabrics provide excellent protection from both cold and damp weather, creating an extremely comfortable bag. Key features include a close-fitting neck baffle, anti-snag webbing tape and a trapezoidal baffle design to eliminate cold spots.